Peter Aprile and Natalie Worsfold interview Mark Cohen, co-founder of Clearspire. The group discusses the Clearspire story, why its bleeding-edge technology and legal expertise weren’t a commercial success, and the lessons NewLaw needs to learn. 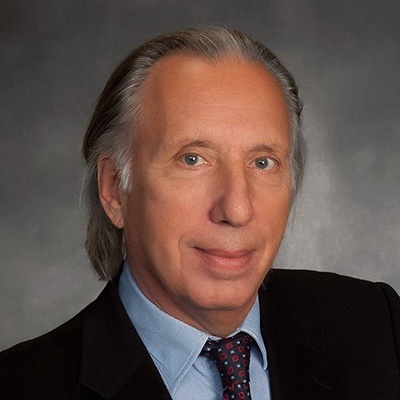 Mark Cohen is a global thought leader and doer in the legal business industry. Mark has had a long career as a civil trial lawyer, serving as a decorated Assistant United States Attorney, youngest partner at Finley Kumble, and founder and managing partner at Mark A. Cohen & Associates, a 30-attorney multicity national litigation boutique firm. Mark was the co-founder of Clearspire, a groundbreaking “two-company model” law firm and legal service provider (you can read about Clearspire in his new book, The Clearspire Story). Mark is now the CEO of LegalMosaic, a repository for his thought leadership and a legal consulting business. He is also the Chair of the Advisory Board and Chief Strategy Officer at Elevate Legal Services, a leading legal business managed services company, and an advisor to Hotshot, a company that provides digital learning to lawyers. He is a regular contributor at Forbes. Peter Aprile: Hi, and welcome to "Building New Law," Canada's first and only CPD accredited podcast. It's hosted by me, Peter Aprile, and my colleague Natalie Worsfold. Natalie Worsfold: In each episode we interview lawyers, legal technologists, and other like‑minded people at the forefront of new law. Peter: We hope that the podcast connects the new law community and helps us all learn more about the approaches that are changing the way that we practice law. Natalie: To learn how you can use this podcast to satisfy your law society CPD requirements, visit our website at countertax.ca/bnlcpd. That's countertax.ca/bnlcpd. The "Building New Law" podcast is supported by Counter Tax Lawyers, a new type of tax, controversy, and litigation law firm. To learn more about Counter, go to countertax.ca. Natalie: Today we're talking to Mark Cohen. Mark is a global thought leader and doer in the legal industry. We want to talk to him today about his success, and more importantly, some of his failures. 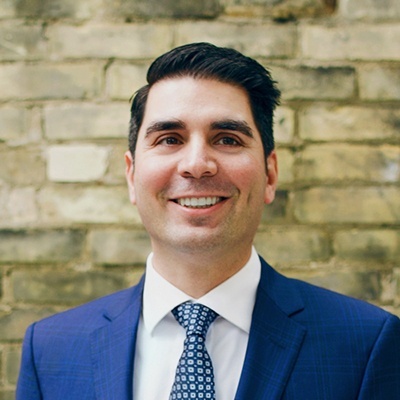 Peter: Mark has had a distinguished career as a leading civil litigator and he's currently the CEO of LegalMosaic and Chief Strategy Officer of Elevate Legal Services. But what's really interesting to us and what we want to talk about to Mark today is about his adventures with the groundbreaking law firm and tech company, Clearspire. Natalie: Mark founded Clearspire in 2008 with his partner Bryce Arrowood. Clearspire had two divisions, a law firm and a service company that built a remarkable piece of technology called Coral. Clearspire's mission was to reengineer the delivery of corporate legal services. Mark actually just released a white paper about Clearspire. You can read more about it in "The Clearspire Story," which is attached to our show notes. Peter: I really recommend that everybody takes a look at the white paper before digging into the podcast. It will provide a lot more context and framework for our discussion. Everything about Clearspire suggests that it should have been a smashing success. It checked all those little boxes for creating a better law firm, a more client focused law firm, but Clearspire failed to achieve commercial success. The law firm division closed its doors after four years of operation. Natalie: We're pretty fascinated by the Clearspire story and wanted to learn a little bit more about why something that sounded so perfect was unable to conquer the market. So, we asked Mark to talk to us about what went wrong and how we can avoid the very expensive lessons he learned from Clearspire's history. Natalie: And here's our conversation with Mark. Peter: Hi, Mark. Thanks so much for being on the podcast today. Mark Cohen: My pleasure to be here. Peter: We want to talk to you about Clearspire. We love what you built but we're struggling to understand why Clearspire didn't achieve the commercial success that we think it ought to have. We wanted to talk to you a little bit about that. And in order to set the stage for that, we wanted to understand a little more about Clearspire's original mission and what problem it was trying to solve. Mark: Sure. Well, the problem it was trying to solve really was its mission. That is to realign what we felt were misaligned interests between and among the three key stakeholders in the legal industry. That is lawyers who do the work, the provider that bundles that work, and the clients who consume that work. That was both the challenge that we were seeking to rectify as well as the mission, which was to build a structure working around US regulatory rules that would enable us to do that. Peter: What led you to that? What were the tensions that you and your partner were feeling at the time that said, "Something doesn't feel right here," or, "We're having these experiences that make this necessary." Mark: My partner and I came at it from very different perspectives. My partner, Bryce Arrowood, is a Harvard MBA who had started a legal staffing company and had grown it quite large and sold it off. He believed that, after dealing with law firms and in‑house legal departments, that there might be something a little bit more to the process than just providing temporary staffing help. And he asked me my thoughts on that. And after being 30 years in the industry at the time as a bet the company trial lawyer who had been an assistant US attorney, had been the youngest partner of Finley Kumble, then the US's second largest law firm, and starting my own quite successful national boutique firm representing large companies. I felt that I knew quite a bit about certain deficiencies in how law firms were delivering their services. And I had also been an outside general counsel to three insurance companies, as well as a federally appointed receiver of a large international aviation parts business that conducted operations on four continents. And so, I was responsible, really, among other things with overseeing the legal operations on those four continents. And I was very frustrated by the inefficiencies in legal delivery. And as someone who is a great believer, and actually adapter of technology for my own law firm back in '91 ‑‑ happy to go into detail if you'd like ‑‑ I realized that there were technologies available that could streamline the legal delivery process. So that's predicate to how I got interested in forming Clearspire. Peter: And so Clearspire is intended to resolve these tensions by...And we went through your recently published white paper, The Clearspire Story. In that white paper, you say "Clearspire endeavored to provide a quality, scalable alternative to law firms and their partnership model that was no longer aligned with client expectations." Then it says, "Big law at half the price." And so was the idea to use technology to drive the price down while maintaining that quality? Mark: That was certainly the central component of it, yes. We developed an integrated, web‑enabled platform that did many things. Number one, it allowed our lawyers around the country and around the globe to work in a seamless fashion. And our platform, in effect, became their office. Although we did have a hub and spoke office, a physical presence, in our major locations where we were providing legal services, our offices were typically about one‑tenth the size of what they would be by traditional law firm standards. So we saved a tremendous amount on real estate costs. We also saved a tremendous amount in terms of having access to documents, and providing that same access to our clients, so that we did not reinvent the wheel each time that a new matter came into our firm. That was another important component to it. So it wasn't just technology for technology's sake, of course. But it was what technology could do to liberate us from traditional constraints, and to better align ourselves directly with our clients, so that they could not only follow our progress in real time, and participate, or collaborate to the extent that they cared to in real time. But also, they were able to tap into the intellectual capital that we had created for them, either on the specific matter or on a series of matters. And we felt that that was very valuable and something that the marketplace was not providing their consumers with. And all of those things allowed us to have a margin that was comparable to the margins of traditional law, but at the same time, at half the price of what our lawyers would be charging if they were operating under a different and more traditional law firm structure. Natalie: This was a huge endeavor, this piece of software, right? You say in the book you had 90 developers working on it at one point. Mark: Yes. And I'd like to, if I may, just put it back in the context of the times. We started building out our platform, which we called Coral because we felt that we were an ecosystem, and Coral evoked those images. And we built Coral. It was a huge endeavor. It was a team effort. It was an interdisciplinary effort. Not only did we have those developers, but we also had a project architect. We had operations experts. We had me from the legal side saying, "This is what we as users of this platform would like to see in terms of things that it could do for us and also in terms of being user‑friendly." I jokingly said...We called it the Mark test. It would have to be readily usable by people who really were not people who had grown up on computers or were law geeks in disguise. And so it was extremely user‑friendly. It was really an end‑to‑end office solution for us and our clients. And it took a great deal of time, a great deal of thought, and a significant amount of money. And to take the mystery out of the money, it cost us about $6 million. Because in those days ‑‑ we're talking a decade ago ‑‑ there were not many off‑the‑shelf products that we were able to use. There was not the same plug‑and‑play functionality in different systems, and we had to customize a lot. It was about two years to develop and about, as I said, $6 million. Peter: That's amazing. And just to, again, set it in the appropriate context, so essentially what you and your partner were doing was you were running, on one side, a software company, and on the other side, a law firm. Is that correct? Mark: That's exactly right. That's a very concise summary. Peter: And just explain ‑‑ the meat and potatoes ‑‑ how those two sides interacted or relied on each other. Mark: Sure. Let me just take a half step back and say the reason why we constructed that way was not necessarily because we wanted it to be that way. In fact, my preference would've been, of course, if we had been in the UK and we had started in 2011 when the Legal Services Act came into actual operation. That would've allowed us to have the law firm fully integrated with the software company. We were working together behind the scenes, of course, in the formulation of Coral, the software platform. But in terms of the operation of the two units, once we had beta tested our platform ‑‑ and used it on one or two "friendly clients" for the law firm and knew that it worked ‑‑ we then basically split the two companies up. So let me just say functionally what each did. The law firm operated as a law firm in the sense that it had client engagements. And although the nature of the way we interacted with clients was quite different from traditional law firms in that we had fixed price budgets that were very, very transparent, and agreed to with clients at the outset of our engagement. And by the way, we also had our lawyers commit to basically the spec sheet that they signed off on. So, in effect ‑‑ and this is kind of interesting ‑‑ we had simultaneous contracts, one between our lawyers who committed to doing certain projects, delivering certain things by certain dates. That was the agreement with Clearspire. And then Clearspire ‑‑ our company, our law firm ‑‑ shared that with our clients, who signed off. And that was our way of walking the walk of saying that we were trying to align the interests of all concerned. So at the inception of engagement, both client, Clearspire, and our lawyers, all agreed to the terms and conditions of the engagement. I can also tell you that happily in 98.5 percent of the time, we were operated within budget, which I think is a resounding empirical response to people who say, "Oh, you can't possibly do complex types of litigation or corporate transactions on a fixed price basis." You can. On the other side of the house, the service side of the house, we engaged in the practice of law, and the service company did everything else. So they did marketing for us. They did HR for us. They did billing for us. And then, of course, the centerpiece of what was provided to us was access to our technology platform. Peter: Yeah, you said it was kind of interesting, and I thought...then you speak in The Clearspire Story about some of this. And in particular, what you call statements of work that Clearspire had with its lawyers, and then as well with its clients, which I thought was really interesting. The reality is that we can't predict everything perfectly. And so in that circumstance, you build in this kind of general contractor change order idea. Can you talk a little bit about the mechanics of that? Mark: Sure. I'm very glad you used the general contractor, because I remember saying to my partner and to others in the room, "Well, this is really nothing different than what a contractor does when you retain him or her, let's say, to build an addition on the house, right?" It's the same way with law. The first thing you have to do is ask the client, "What are your objectives here?" And then, depending on the objectives, depending on the value of the matter ‑‑ not to you, the law firm, but to the client ‑‑ we kind of spec'd it out. And that's really the process that we followed. As your question implies, this is certainly new to law, but it certainly is not new to the business community. I think it's really a matter of discipline. It's a matter of knowing your craft. And we all know, pretty much, what the variables are going to be in a commercial transaction or in a piece of litigation. Peter: One thing that you said was really interesting to me, because that idea of...You mentioned about statements of work in The Clearspire Story, and how it allowed setting out the work as well as ensuring that you had the right people for the right task. And then you also made a comment in giving us that last answer. You said, "It's about discipline." And so my question is how did you scale that discipline? It's one thing for you to be constructed this way. Maybe you have these traits naturally. But generally speaking, the lawyers that you work with, I would imagine, have very different personalities and are constructed differently than you. So how did you impart that culture of discipline and spread that throughout the organization? Mark: That's a great question. It was a very self‑selecting pool of people from whom we drew. In that if people were knee‑jerk going to say, "My gosh, you can't do what we do, what I do in my practice, on a fixed price basis," obviously we knew that they were not a good cultural fit. And so we regrettably had to pass on some very good people. I think that culture is something that is much overlooked in the legal industry. Obviously, it's very important, and you can't change your perspectives overnight. So we looked for people who were prepared to drink our Kool‑Aid before going forward with them. I go back to déjà vu all over again, as Yogi Berra would say. I think that discipline is something that really has to occur even before you start a case. You have to think through it. And that's something, unfortunately, that I think a lot of lawyers in practice fail to do. So we tried both culturally, and through our templates, and through reinforcement of our process to instill that in our lawyers, and it really seemed to work. Natalie: Are you still pricing from the legal perspective based on time and hours, or are you using some other mechanism? Mark: That's a good question. The answer is we were not strictly billing it on time and hours. However, I think you have to have some sort of imputed value. A general contractor is not generally going to be charging you by time and hours, but has a pretty good grasp of how much time it's going to take. Because if you budget for a day to lay a floor, and you're paying workers by the hour, and it ends up taking them a week, you've lost your shirt. Tasks have imputed values. And the lawyers are very well aware of those imputed values, and have to agree that without cutting corners, they're going to be able to complete the task within a prescribed time. And by the way, we collect the data, on average how long it took people to do similar types of tasks. Natalie: So people were still measuring hours. The lawyers were still measuring hours. Mark: Internally, yes. They were keeping track of it for their internal purposes. Natalie: And when you mentioned that you were on budget 98.5 percent of the time, is that in terms of the expected hours matched the actual hours? Mark: Well, that's in terms of people being able to perform what they said they could perform for the client within the internal budgets that they had set for themselves. Peter: That's amazing. And then the first thing I think of is what's the quality lever? Mark: The quality lever ultimately is the client and what the client thinks of the performance. And part of our process was, after the fact, to do our own little, I guess, net promoters score. How did we do, and would you recommend us to others based on the performance here? That was important to us, both in terms of our brand reputation as well as being able to measure the efficiency of our lawyers. So we did that, and the measure of efficiency was basically what did the client say? Because I think if you measure it by internal metrics, it can become somewhat subjective. Peter: So the question becomes something happened to Clearspire along the way. What happened? What was Clearspire's path? Did it struggle to convert clients? And if so, why? Mark: Lots of things happened, some of which, as you know...I'm glad you described it as a white paper. I might describe it as a confessional. In no particular order of importance, here's some things that happened. Number one, our technology, which really was pretty phenomenal and really worked. I think that my partner and I had a great divergence of opinion as to...now we've built this technology, what do we do with it? Because it was very expensive. As I said, it took two years, and it really set us back. And it was like building a Ferrari, but only being able to drive it around your little development, which has speed bumps that limit you to going eight miles an hour. It was too much technology that was underutilized. We had lots of opportunities to license the technology, to sell the opportunity, and to allow the law firm to have a perpetual licensure of the technology. There were a lot of different things that we could have done that would've enabled us to continue in a highly successful financial basis. I'll just leave it that, unfortunately, my partner and I were unable to reach accord on some of those options. Another thing that happened was when I was a trial lawyer, I used to do, first the cases of first impression, cases that raised some kind of interesting issues, bet the company cases. And yet the one thing that I always insisted on doing on starting a case was having a first sentence that always went the same way, which is, "This is a case about blank." One word, fill in the blank. To be able to do that is a lot harder than one might think, because you have to basically capture in one word, a very complex set of legal issues and factual issues in a way that anyone could readily understand. And I remember telling my business partner, "That's what we have to do with Clearspire. We have to be able, in one word, to say, 'We are a company that sells X.'" That was really never done, and people loved what we did. People thought it was very clever. People loved the technology. People loved the idea of how we constructed the law firm. But ultimately, there was a lot of head scratching in terms of just what exactly are you guys? How might I best use you? And even when we got the answers to those questions from some of the largest companies in the world, you cannot become a slave to the perceived brilliance of your creation. You have to be able to give the customer what it wants when it wants it. And I think that my partner, interestingly, he is the business guy ‑‑ and a very brilliant business guy ‑‑ but he seemed to feel that the market would catch up to us. And my feeling was, you know what? As sweeping and as intellectually gratifying as what we created was ‑‑ and no one appreciated that more than I did, because I had spent 30, 35 years in the field. At the same time, I realized that maybe this is a little too sweeping and too much. Maybe we have to do this in bite‑size chunks for the market. And that was, I think, another problem that we had. So all told, I would just say that it would be a cop‑out for me to say today that, "Oh, we were just too far ahead of our time." Privately, I would say we were, but that's not enough. Even though we were ahead of our time, I think it was incumbent upon us to come up with a strategy whereby we could move the market along bit by bit rather than just saying, "You got to do the full Monty or nothing," and I think another glaring mistake that we committed. Peter: And you talk a little bit about that communication issue in that white paper that you released about Clearspire. And what I took from it is you didn't communicate the value proposition in a way that the clients could understand it or appreciate the power of it. Is that fair? Mark: Well, I think they appreciated the power. When people saw our technology and we went through our commentary with it, they were pretty awed. But generally, I think what they were more interested in is, "Can we buy or license this technology," rather than, "OK, now we want to use your law firm, too." And I think they were not accustomed to this. They were accustomed to going to a firm, and they were either going to retain them or they're not. Or they were going to go to a software company, and they're going to buy the software, or license the software, or not. We presented the proverbial case of first impression, which is probably not an altogether great thing in such a conservative industry as law. And I think that probably in retrospect, it would've been easier for us to go the law firm route or to go the software route, as you started out our conversation by commenting on. Or alternatively, there was a tremendous interest in our going the legal staffing route, which is what Axiom ultimately ended up doing. And they've done very well, and more power to them. I'm a fan of what they've done. But one more time with feeling, we had lots of options that we might have exercised. And unfortunately, I think we became a bit of slaves to elegance of our own solution. Natalie: I'm trying to think. So you had said people were interested in licensing the technology. And then in my mind I'm thinking, if you license the technology, you would never find a law firm with the people and staff in it willing to use the technology unless it was through Clearspire. Natalie: Did anyone talk about that at all? Mark: Sure, we did. And believe me, I don't necessarily agree with that. I think that there are a lot of like‑minded people out there who we basically could have said, "Look, we're going to make the technology available to small firms, to individual lawyers, and you can create a marketplace with the technology. And you decide how you want to operate that technology, whether you want to be tents in a bazaar, or whether you want to create the largest law firm in the country or the world." I think that would've been another way that we could've approached this, something frankly that I was very much in favor of after we established proof of concept with our lawyers. But I do take slight exception to your comment. If you're asking would a law firm wholesale adopt it, the answer is no. But if you are asking would lawyers from certain law firms be willing to adopt it, the answer is you bet. There were a lot of people who wrote to us all the time, who wanted access to the platform for that reason. Peter: What I struggle to understand is when I look at The Clearspire Story, I see this great promise. I see this wonderful idea. I see a software that, at least in the initial stages...and law firm that was well capitalized, for all intents and purposes, this looks like the right answer. And then you and your partner are faced with all these different opportunities, and Clearspire fails. What it sounds like to me ‑‑ what comes through the pages ‑‑ is Clearspire fails because two partners were unable to align themselves, were unable to choose a path that they either both agree with or one of them, I guess, capitulated. And that's what disappoints me, I guess I would say, about The Clearspire Story. Is that fair? Mark: Yes. I'm a lot more disappointed than you are. Mark: I can give you two million reasons why I'm more disappointed than you. Mark: Yeah, it was a very interesting life lesson for me that sometimes people who you like, who you have a very high regard for, who were exceedingly bright, but they're difficult to play with in the sandbox. I would say that my one cautionary tale to anyone who wants to do something like this is if you're going to really do something that is innovative, you'd better be very, very sure that before you go into it, that if you have a co‑founder, that you really are aligned and that you do talk it out. I mean, it's a little bit like a marriage. Peter: I understand starting out with a vision, and then everybody being aligned, or on the same page. You're in that happy honeymoon stage of the marriage. But at different points when I read The Clearspire Story and when I think about it, I think, OK, now pivot. OK, now's the time they're going to pivot. Even if one partner is steadfast in one direction and want to stay true to the initial vision, when the boat starts taking on water, you would think that both partners would agree to pivot to save themselves, I guess. And that's what I don't see or didn't understand about The Clearspire Story. I look at it, and I think, why wasn't there a pivot at some point? Because it feels like it just kind of fizzled. Mark: Yeah. There were some, I wouldn't say pivots so much as maybe little twists and turns. But I think that if you're asking why not, I'd just go back to my answer to the previous question, which is let's just say that a lot of what happened or didn't happen was contrary to what I would have done were I to do this on my own. Natalie: So one of the lessons, I guess, to take away then is the story of what happened with Clearspire doesn't necessarily mean that somebody can't replicate this in the future. Mark: Clearly, that's the case. I mean, I've had two of the big four have expressed an interest in a reprise. A number of, what I call law companies, today have an interest. I mean, as you probably know, I'm the chairman of the board of advisors and chief strategy officer for Elevate. Liam Brown, clearly, I think is a huge fan of Clearspire. And I think his appreciation for what we did and our model was one of the reasons why we decided that we were going to collaborate. So yes, I would say that it's one of those cases where I really had to grapple with the idea after the fact that, OK, so it was disappointing from a financial perspective. I was frustrated intellectually, because I thought that it really could have been a huge success in the marketplace. But I do think that the model, and the idea, and whatnot, I mean here we're talking about it now. Clearspire closed its doors over three years ago. People all around the world want to hear about it. So, yes, I'm very proud of what we did. And I have every confidence that someone is going to borrow from it, improve upon it, and make it work. I'm already seeing some signs of that. I don't consider it a failure, but obviously, wish that I could have a restart button, and maybe I do. Peter: If you had that do over button, how would you build software and build that company ‑‑ build Coral, I guess ‑‑ in a way that put less pressure on that law firm? Mark: Probably in retrospect, I would've used the law firm only as a beta test and then would've done a straight technology play. That's the first thing. In the second place, probably today instead of costing $6 million, I suspect that it would've cost a fraction of that, maybe $2 million. And I think also our business model was predicated on the assumption that once we built out the technology, if you build it, they will come ‑‑ that the technology would be the driver for the law firm. And I think it could've been had we pursued the middle market more than the Fortune 500. Because ‑‑ and I'll take responsibility for this one ‑‑ I had felt that after the financial crisis, which really did create a reboot of customer expectations and what not, I really felt ‑‑ and ACC's launch of the value challenge ‑‑ I really felt that GCs were not just going to talk the talk, but they were actually going to walk the walk. Peter: Right. You talk in The Clearspire Story about nobody got fired for hiring IBM, and that encompasses that sentiment. You say law is grounded in precedent, not in innovation. And you said that Clearspire inaccurately gauged the market's appetite for real change. We interpreted that you felt that Clearspire aimed maybe too high, and overestimated the pace of change in the legal world, and should've had maybe a little bit more vision for incremental change as opposed to this revolutionary change that Clearspire was pushing. Which raises the question, do you think that the market has changed all that much since 2011? Mark: Oh, I know it has. I think you've got companies like Axiom. You've got companies like UnitedLex. You've got companies like Elevate, who are now really starting to move up the complexity chain. They're really starting to engage with corporations in what I would call enterprise partnerships, not just doing doc review, or staffing, or things like that. But really what I would call truly bundled, integrated services and on a pretty large scale. And I think you're also seeing an enormous change in the market, migration of work from law firms to in‑house departments, and now the realization that well in‑house departments are not the panacea either. It's very expensive. So I think what we're going to see now is the growth of law companies. So I definitely see changes in the marketplace. I definitely see changes in buyers' attitudes, and I also think that the dynamic has changed, because in 2011, lawyers were still selling to lawyers. Now, you've got much more frequent incidents of procurement, and CFOs entering into the legal buying process, and that's definitely changing the dynamic. Peter: When you look at the market and you see all these changes happening, and it's interesting to think about, OK, how much has changed? And there's definitely instances of this. But on a scale of 1 to 10 ‑‑ 10 being complete change and 1 being absolutely no change in the market since 2011 ‑‑ where do you think we're at? Mark: I think we're probably at about a 5.5. Mark: We're just past the point where it is safe, I think, for companies to start feeling they can make some material change. I'll cite one statistic that speaks to that point of view. Connie Brenton of CLOC recently revealed a survey that they did that said that 46 percent, I believe, of GCs, of major companies now said that they were using, or planning to use, different types of providers. She used the term, I think, alternative providers. I would use the word law companies. But be that as it may, I think that's why we're at about a 5.5. You're seeing the big four now, I think, coming out of the closet and making every indication they're going to get more and more into the legal space, Accenture and others. So I think it's happening. And by the way, I think that clients understand now that there is a difference between the practice of law as well as the delivery of legal services. Natalie: Yeah, I absolutely agree. Mark: And law companies specialize in the delivery of legal services. Natalie: I absolutely agree with you, Mark. I think you have it bang on there. Peter: I guess moving forward, in terms of predictions and advice, you have this idea that the market has changed and is continuing to move in that direction. Generally speaking, when we look at what's coming, this is arguably ‑‑ maybe not arguably ‑‑ but too broad of a question. You spoke to several people when you were in Toronto recently. You spoke to law students, and legal technologists, as well as groups of big law firm partners as well. What is the core message? Mark: I think the consistent message is that the market's changing, and therefore, your place in the ecosystem is going to change, too. And in that sense, would address each constituency would be different. For example, with managing partners, the one‑word message is differentiation. And I think that for GCs, it's more of the Abbott and Costello, "Who's on First?" You've got a lot of pressure on you, and you have to determine the right resource from the right structure for the right task, or the right portfolio. And that's something that's very new to GCs. That's something that wasn't even on the table a few years ago, not to mention all the other new things that they've got to deal with. But the central message is that the market is changing. It's important to understand why it's changing. It's important to understand how it's changing. It's important to understand the implications of those changes. And most importantly to young people, it's to make clear not only the change, but also the kinds of tools that they're going to need to be able to thrive in the new marketplace. That's something I'm very passionate about. That's why I spent years at Georgetown Law School, now at Northwestern Law School...speak and have participated with other law schools around the world. I think that this is a global challenge that the legal industry has really got to come to grips with. Peter: One thing you say, you talked about managing partners. And you said your core advice, or piece for them, is that they need to differentiate. My question is, is that possible without something similar to Coral, or like Coral, being built or underpinning these law firms? Mark: They don't have to have it themselves, they just need to have access to it. But I was speaking more in terms of differentiate in three perspectives. One is what are your core practice competencies? What are you really good at? The other would be your delivery capability, and I think that takes in your Coral question. It's great to have terrific lawyers who have industry expertise, etc., but you also have to have delivery capability. And then the third component is I think that you got to be able to service your customers well. And by the way, I'm lifting these three aspects of differentiation from my friend Steve Immelt, who is the CEO of Hogan Lovells. He mentioned them in a recent conversation. I liked it so much that I wrote about it in a "Forbes" column, so I have to give him attribution, but I think he's bang on. Peter: And so going back to this change in how law firms are evolving, I just want to get some really quick hitters from you in terms of what kind of mid‑level and students should be doing. So do you believe that a mid‑level associate in a traditional law practice can create the type of change necessary to help evolve that organization in a meaningful way? Peter: What should law students be looking for or doing when they're evaluating opportunities? Mark: Think broadly. Don't just think that law firms are your only option. Consider law companies like Elevate, and Axiom, and UnitedLex, and others. And definitely, definitely strive to understand what's going on in the marketplace and why, because you're probably not going to learn at law school. Peter: Who in the market today comes closest to achieving Clearspire's mission? Peter: What about much, much smaller? On a smaller scale, either small law firm or legal technology company? Mark: I can't think of any that have really put the technology together with the legal practice capability, because it's just too expensive. Peter: Again, going back to the idea of if you could hit the redo button, we talked about when you were in trial. You'd say you'd boil it down to one phase, which is, "This case is about X." You have an opportunity now. If you could go back in time, you would've said, "Clearspire is about what?" Peter: Thank you so, so much for taking the time to talk to us today, and I apologize that we went overtime, but we really, really, really appreciate it. Mark: Well, I don't bill by the hour anymore, so it was really a pleasure. I enjoyed the conversation. Peter: What did you find most interesting about our conversation with Mark? Natalie: I don't know if it's what I find most interesting, but I'm really sad that it was a leadership and a partnership issue that caused this law firm to fail, or this technology company to fail. I see that, and I just feel like it's such a wasted opportunity, and I wish it hadn't happened. Peter: Yeah, and as Mark commented, no more so than him. Peter: Yeah, you look at Clearspire, and you say, "That's a shame." But George Beaton made a comment about we should...or how he thought we should interpret The Clearspire Story. Natalie: Yeah, he said it's just an example of businesses failing, and businesses fail all the time in other industries, and this is just a regular example of a business failing. It's not a specific warning for the legal market or anything like that. I do agree with him. Peter: What struck me in speaking to Mark was we were talking about all this change that has happened and that is going to happen. But at the same time, he believes that we are only on that change scale...we're only at a 5.5. Natalie: Yeah, I was surprised. I thought he was going to say much higher, actually. Peter: Do you think it's accurate? Peter: Is that consistent with what we see? He obviously has a different view and vantage point than us, and so obviously we're going to defer to Mark based on his vantage point. But would we say the same thing? 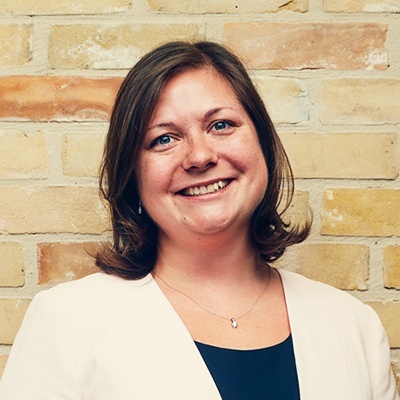 Natalie: I find it hard, because...So Toronto's a bubble for...We have a lot of incubators for legal tech, and we have a lot of legal tech companies here. So I see change more readily happening here, but then we've been outside of that bubble and been to conferences or events. And you are always still going to run into people who have more old‑fashioned or more rigid views of what the practice of law should be. Peter: So put the question to you. Scale of 1 to 10, change being enormous change and 1 being no change at all, where do you think we are? Natalie: Since 2011, that was the question? Peter: You want to, but is that accurate? Natalie: I want to, but I don't know if that would be a fair reflection of the actual market, especially considering the biggest players in the market, who have the biggest influence, have the least change. So they're probably sitting down on the two or three side of that scale. And the only reason we're getting close to five is because of smaller and more agile companies pushing that forward. Peter: So your number is...? Peter: OK. For the record, mine's four. It might be three. Mark was pretty direct when I asked the question, if you're a mid‑level associate at a large law firm, can you really do anything to impact or influence the evolution of that organization to the extent necessary? No hesitation, he said no. Are you surprised by that? Natalie: I'm not surprised. I think it's a truthful and accurate message. I guess my surprise is...No, I can't say it's surprise. But I like the fact he followed it up with some recommendations as to what you could do to better prepare yourself rather than trying to change the organization you're in. It reinforced to me that if you're an associate at a firm, you're just a piece in the puzzle, and you aren't steering it or going to have any impact. Peter: And then the question becomes...I should've asked him the follow‑up question, so what should they do? Natalie: He talked about, make sure that you're aware of the market, retrain, get the skills you need, focus on an area that you can deliver great service in. Peter: But it begs the question, so stay in that organization and make sure you read all of Mark's stuff and Richard Susskind's stuff, and go through all that and focus on your area of practice, or I wonder whether Mark would recommend something more significant. I should've asked him the question. Natalie: The impression I got was get ready rather than jump ship, so it could be get ready and then jump ship when it starts sinking. But as of right now, they're not actually sinking. I don't know if Mark would recommend jumping early, if that makes sense. Peter: He talked about that idea that one of the things that Clearspire suffered from with its clients is that nobody got fired for hiring IBM. I wonder if that sentiment is gone. Natalie: He thinks the market has changed, so that would suggest that people are slightly more willing to do that. I thought his most interesting comment in that regard was the idea that it's not just lawyers selling to lawyers anymore, so he talked about different types of GCs. There's other C‑suite people involved and things like that. So I think that that aspect to it makes it a much broader market in the sense you'll see people making more adventurous decisions. Peter: That was a really great point and a great reminder that maybe the client has shifted, and maybe that's what causes buyers to make this shift that they wouldn't make when Clearspire was in operation. They won't just find it intellectually interesting. And now because that buyer has shifted or the sophistication of the buyer has shifted, maybe they actually make the jump. What does this mean for us? What'd we learn from Mark, and what does it mean for us in our law firm? Peter: Really, that's it, eh? Peter: Really, we were really on that road. We were not on that road. Natalie: [laughs] I guess what I heard was about split focus and making sure that if you are pushing for what is a law firm, push for what is a law firm. Peter: What do you mean split focus? What did you hear about split focus? Natalie: In the sense that Clearspire was focused on two separate initiatives in the sense of developing the technology, and then on the other side, delivering the legal services or sorry, the practice of law, I should say. When I say split focus, I mean they were trying to do both of them. And particularly it sounded like in the early stages, Mark would've preferred to have the law firm get a base and a reputation, and then incrementally introduce the technology side of things to its well‑established base. Peter: Like if I take what's the lesson from Clearspire and how do I take that back to our firm, they tried to build a mammoth, mammoth piece of software. And they built it all right out of the gate. They completely went against the idea or philosophy that is currently prominent in software development, which is building an NVP. They so didn't build an MVP. It sounds like no MVP, no feedback along the way, and they were left with this mammoth asset, but was so heavy that it dragged everything down. And so when I look at what do I take from Clearspire, and what do I take from Mark, what I haven't figured out is that idea of alignment and how do you ensure or what can you do to ensure alignment when the ground is shifting under you? Which is a really interesting question that I don't have an answer to and going to really go away and think about that. The other side of it, what I'm going to take from it is certainly...It's that incremental build, small pieces, feedback. Because doing it with the way they did it, destroyed what sounds like a really interesting law firm with a lot of really smart, high‑level people in it. He talks in The Clearspire Story how the recruitment was exclusively from big law. And knowing Mark's legal pedigree, we're going to assume that these were top quality lawyers. But they buried a law firm that could've been something, and at the same time, buried a technology company that could've been something, too. And with a little bit more...He talked about discipline. I guess with a little bit more discipline, and not trying to boil the ocean, which is something that we suffer from often, Clearspire could've been a real, a real player that we'd be talking about in a different way 5, 10, and 15 years from now. Peter: No, I mean user feedback, right? Natalie: Right, but everybody said, "What you've built is wonderful. What you're trying to do is the right idea, and it's great." It was when it came down to crunch time, "OK, great. Move your legal work over right now." That's when people were dropping. Peter: But doesn't that mean what you built wasn't great? Natalie: I don't know how they would've known that earlier, if that makes any sense. Because I think people would've said, "Yeah, I like your NVP. Build it, and we'll move over." I think they would've just gone along with talk until it came to the point of signing on the dotted line. Peter: Let's really take it a step back then. He talked about the statements of work and staying on budget. As I said in the podcast, that idea even now is a pretty...And again, he talked about don't bandy around the word innovate, but that was a pretty innovative idea at that time. Natalie: It's pretty different, yeah. Peter: Right. And he talks about in The Clearspire Story that idea that it was difficult, that that came with some skepticism. When presenting that to clients, it came with some skepticism. And so if we're talking about how do you build this out slowly and how you...to have you build this out incrementally, even just having that idea and letting that be presented and refined and being the law firm that does that, as opposed to the law firm that does that as well as all the technology stuff that surrounds it, even that type of incremental build. I reject the notion that there isn't a way to build an NVP for what they were trying to build. Natalie: I'm not saying it's entirely impossible. I'm just saying it still would've been an extremely tough endeavor. Peter: It would've been tough, but it would not have sunk both companies. Natalie: So let's say they just start the law firm. They do the statements of work, and they get clients on board from that respect. And in the background, you're saying they're building the technology. Natalie: Which, I absolutely agree with you. I think that's the right way to do it. Peter: Thank God, because that's what we're doing. Natalie: They had to have the remote conscientious between their lawyers. They had to have the ability to track and process, have that process automated within the technology. Peter: I don't believe that. We talked about general contractors. General contractors do this every day without some large technological infrastructure involved. Natalie: No, I mean at the price point they were pushing for. Peter: See, that's the other thing is that nobody was asking for that price point. Peter: Nobody was asking for big law, and we suffer from this. Nobody was asking for big law at half the price is what it sounds like. So the question is could they have charged big law rates, with their big law lawyers, and later in the statement of work aspect of this, and had enough differentiation in the market without the risk that would've continued to build that law firm, which would continue to feed the building of that software in a way that the market was actually responding to? I don't know. We'll never know. Natalie: They're smart guys though. Why didn't they think of this? There must've been a reason they went this route. Peter: Because, like us, they're stubborn, and they had a vision. We talk about this all the time. You need to believe that you're right, that this vision is right, and everything else is wrong. That's the only way that you make progress in something like this. They have to believe in that with every pore in their body. The difficult part of that is you need to simultaneously...and I've talked about this in other contexts. You need to simultaneously have supreme confidence in your vision and supreme self‑doubt, simultaneously. That is a really difficult balance, and I don't know if any of us achieve it. Peter: But, that is the way to somewhat de‑risk what they try to accomplish. Let's hope we don't suffer the same fate. Natalie: For this episode show notes in transcript, and how to satisfy your law society CPD requirements, please visit our website buildingnewlaw.ca. 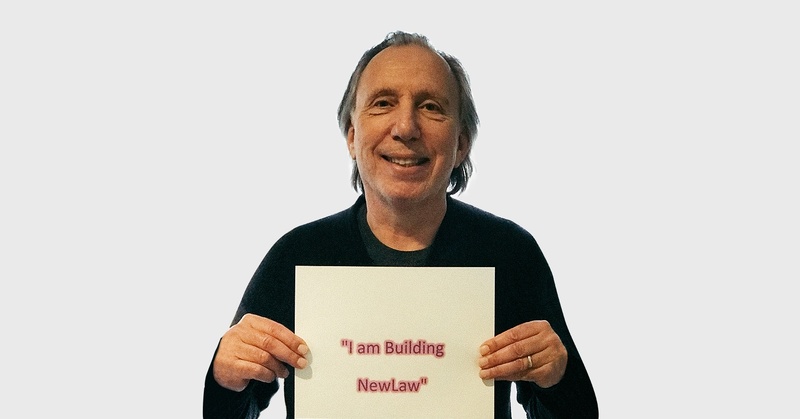 We'd love to hear from you and if you have any feedback feel free to send an email to info@buildingnewlaw.ca or come and find us on Twitter @buildingnewlaw. Don't forget to subscribe on iTunes, our website, or wherever else you get your podcasts. Thanks for listening to the "Building New Law" podcast brought to you by Counter Tax Lawyers. To learn more about Counter, go to countertax.ca. Lawyers that have completed the S03E02 BNL CPD cam claim a 50 minute Professionalism CPD credit. To access the S03E02 verification examination click this link.